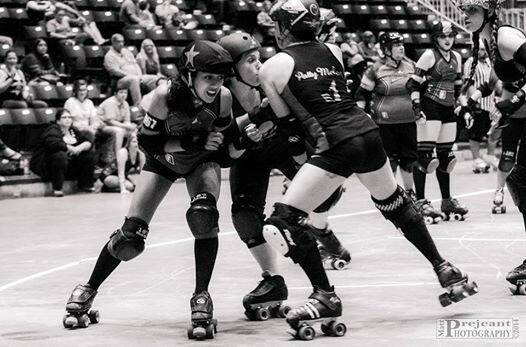 First-Half Pics from CRG vs. Lafitte’s Ladies are Up Now! Hey hey, CRG Nation! First-half pics are available from our exciting overtime bout on July 26 vs. Gulf Coast Roller Girls’ Lafitte’s Ladies! Head on over to our awesome photographer Matt Flash’s SmugMug page to check them out! Photos from the second period and OT will be posted soon, both on our Facebook page and on Matt’s page! While you’re at Matt’s page, you can also view photos from past CRG bouts and purchase prints and other gift items w/your favorite Cajun Rollergirls photos on them!